Kateri was born near the town of Auriesville, New York, in the year 1656, the daughter of a Mohawk warrior. She was four years old when her mother died of smallpox. The disease also attacked Kateri and transfigured her face. She was adopted by her two aunts and an uncle. Kateri became converted as a teenager. She was baptized at the age of twenty and incurred the great hostility of her tribe. Although she had to suffer greatly for her Faith, she remained firm in it. Kateri went to the new Christian colony of Indians in Canada. Here she lived a life dedicated to prayer, penitential practices, and care for the sick and aged. Every morning, even in bitterest winter, she stood before the chapel door until it opened at four and remained there until after the last Mass. She was devoted to the Eucharist and to Jesus Crucified. She died on April 17, 1680 at the age of twenty-four. She is known as the "Lily of the Mohawks". Devotion to Kateri is responsible for establishing Native American ministries in Catholic Churches all over the United States and Canada. Kateri was declared venerable by the Catholic Church in 1943 and she was Beatified in 1980. Kateri was canonized on October 21, 2012. Hundreds of thousands have visited shrines to Kateri erected at both St. Francis Xavier and Caughnawaga and at her birth place at Auriesville, New York. Pilgrimages at these sites continue today. St. Kateri Tekakwitha is the first Native American to be declared a Saint. She is the patroness of the environment and ecology as is St. Francis of Assisi. Loving Creator God, we acknowledge your power and presence in the Four Directions of your vast and beautiful universe. We celebrate Kateri Tekakwitha, "Lily of the Mohawks", as one of your Son's most faithful followers. Help us to turn our backs on all evil and walk in her footsteps, sharing our love and Christian concern with others. Let us reverence, as she did, your mystical presence in the poor and suffering. 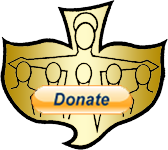 Through Kateri's powerful intercession, we confidently ask you to grant us this special favor we ask for in her name. (Mention your intentions.) Share your healing and peace especially with my family, friends and the sick, whom we commend to your loving care. We ask this through your crucified and risen Son, our Lord Jesus Christ, the eternal World, who lives and reigns with you forever and ever. Amen.